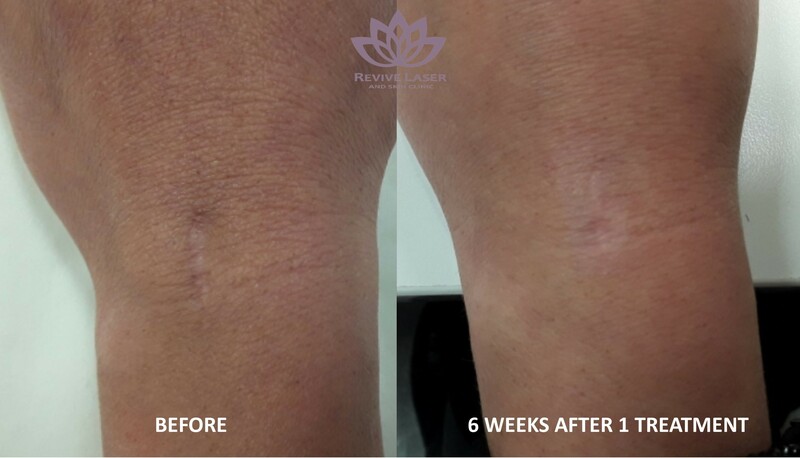 Revive Laser offers non-surgical scar revision laser treatments, an advanced approach that improves the look of scars without harming the surrounding skin. The Fotona’s powerful laser is excellent at treating scars with very little discomfort and quick healing time between treatments. 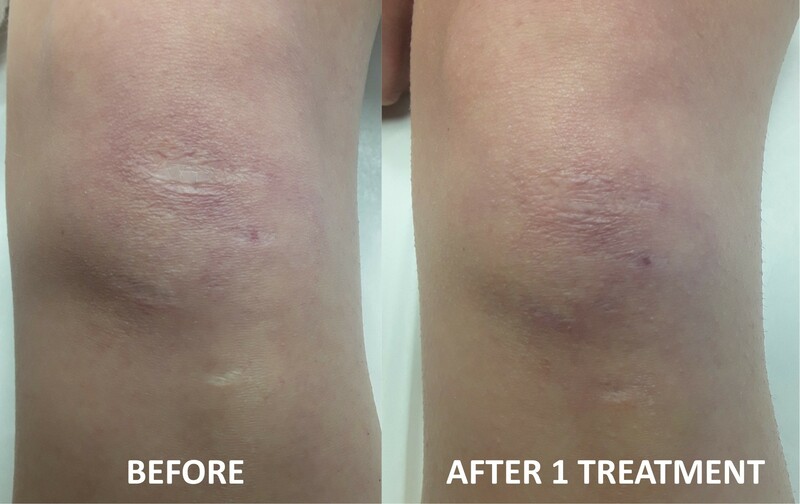 Compared to other methods of laser scar treatments, Fotona’s Erbium poses less of a risk for dis-pigmentation or scarring as well as shorter recovery times. How does THE LASER work TO IMPROVE SCARS? The laser creates channels of heat and columns of holes in the skin, which damages the tissue in a controlled and safe manner. The damage signals the body’s immune system to repair the collagen and elastin in the treated skin, which makes the skin stronger and smoother looking. This repair process can take several months for your body to complete, but the surface of the skin will appear back to “normal” after a few weeks. The treatment can then be repeated every 6-8 weeks until the best results are achieved. How many treatments required will vary greatly for each person and depend on many factors like the severity and depth of scarring, age, lifestyle and more. During the healing process, the skin should be cared for carefully. Bandages, cleanliness, hydration and refraining from sun exposure are extremely important. The first step uses an ND:Yag laser to reduce swelling and improve the overall volume and pliability of the skin. The second step uses an Erbium laser to superficially tighten and contract the collagen in the upper layers of the skin. The third step uses a deep fractional Erbium handpiece that causes controlled thermal columns of damage into the skin’s collagen. This then ignites an immune response to heal the area and induce the rebuilding of the deeper, structural layers of the skin. The fourth step uses an Erbium laser peel, which removes micro-thin layers of skin and can be very precisely used in reshaping and smoothing the scarred tissue. Numbing cream will be applied to the skin and very little discomfort should be felt during the treatment. Only a warm, slightly sunburnt sensation will continue for a few hours after the treatment. Prices starting from $150 – $550, depending on the size of the area to be treated. Packaged pricing for treatments available. 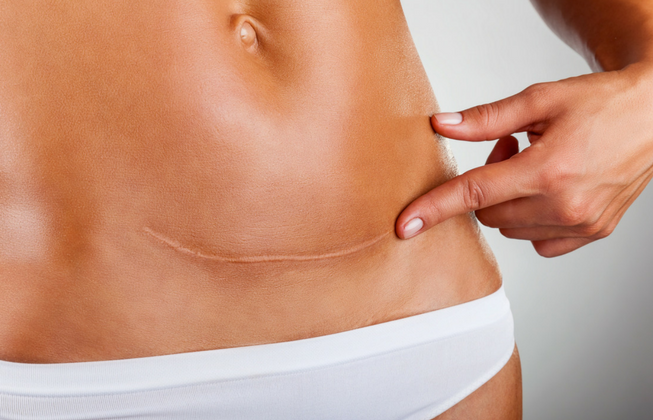 Not only can these laser treatments help to smooth and soften the scar’s appearance and reduce discoloration of the skin, but it can also help resolve complications with the vascular feeding system to the scarred area. Several treatments may be required to achieve full results. Healing time will take several days after each treatment and sun exposure, pools, saunas, and exercise should be avoided during this time.